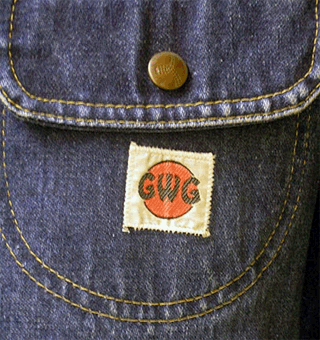 Piece By Piece tells the story of the Great Western Garment Company, from its beginnings in 1911, through its expansion and eventual purchase by Levi Strauss in the 1960s, to its eventual, perhaps inevitable closing in March 2004. It’s a facinating story, although at the same time a sad chronicle of the gradual loss of manufacturing jobs in North America that affected thousands of workers, many of whom were immigrant women. One of the great new features of every VMC project is the education section ‘For Teachers,’ geared specifically to assist Canadian students in discovering the value of history in shaping their view of the world they will one day inherit. This section comes with detailed lesson plans that include learning outcomes and objectives, a list of required materials and other online resources, and some great ideas to get the lessons organized! Most entertaining are the audio clips from radio and television jingles, set to various musical styles. See for yourself, by visiting this Virtual Museum today! Also announced during the month of May every year, are funding approvals for new Virtual Exhibit and Community Memories proposals by the VMC Investment Program. If your proposal was successful, and you’d like to request a free initial consultation, please Contact Us by phone or email.